Greece’s museums celebrate International Museum Day on May 18 with free admission to many museums and cultural events for the whole week. Cultural activities, guided tours, speeches, exhibitions, educational programs, interactive workshops, screenings and even a children’s sleepover are some of the events planned by the Ministry of Culture in light of the celebration. Public, private collections of municipalities, folklore, history and other museums responded to the call of the International Council of Museums (ICOM), which established May 18 as International Museum Day 40 years ago. Last year, more than 35,000 museums in 145 countries participated in the celebration. For Greece, the central theme this year is “Museums and controversial stories: Museums speak about those that are not spoken.” The museum honored is the Kalavryta Municipal Museum of the Holocaust. 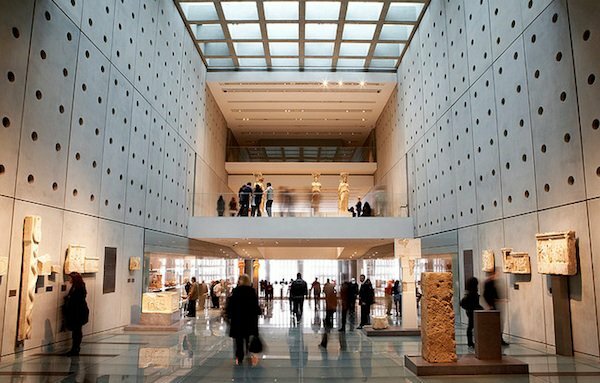 The newest museum in the country and one of the top museums in the world, the Acropolis Museum, celebrates International Museum Day on Thursday and the European Museum Night on Saturday. On Thursday, the museum will be open from 8 a.m. to 8 p.m., with free admission. For the first time in the Hall of the Archaic Acropolis, the remaining fragments of the statue of “Kore with the pole” will be presented for the first time, forming a complete picture of the statue that was the victim of the Persian invading forces in Ancient Athens.